Project 2299: E. K. Shea, A. Ziegler, C. Faber, T. M. Shank. 2018. 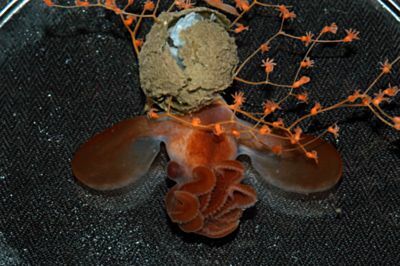 Dumbo octopod hatchling provides insight into early cirrate life cycle. Current Biology. 28:R144-R145.